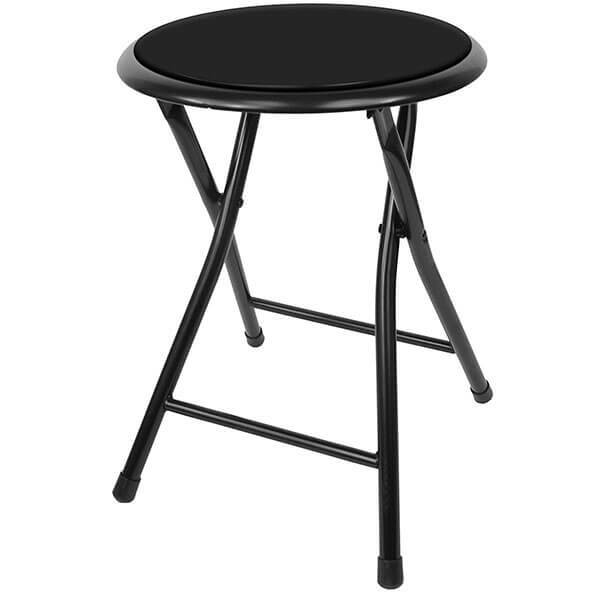 Ideal for your game room or casual seating area, the Trademark Gameroom Black Cushioned Folding Stool is a foldable stool that can be erected whenever it is needed. It features a 12.5-inch padded top for comfort and a spring action secure lock that makes it easy to fold and unfold. 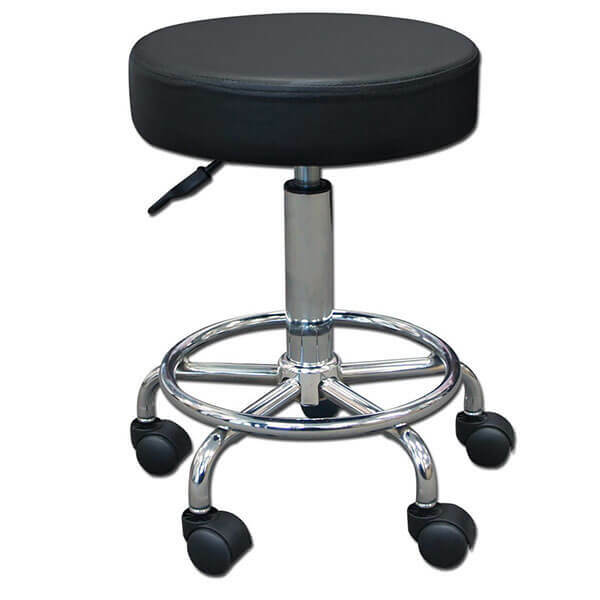 Amply padded and easily able to move around the room, the TOA Supply Round Rolling Pneumatic Stool is a comfortable seating choice for your workshop or seating area. It has a hydraulic gas lift that allows you to adjust the height anywhere between 20 inches and 26 inches. With its curved seat and long legs, the Winsome Wood 24-Inch Saddle Seat Counter Stool offers a classic stool design that is perfect for any bar or entertaining space. It is made of solid beechwood that has been given a matte black finish to match any of your decor. 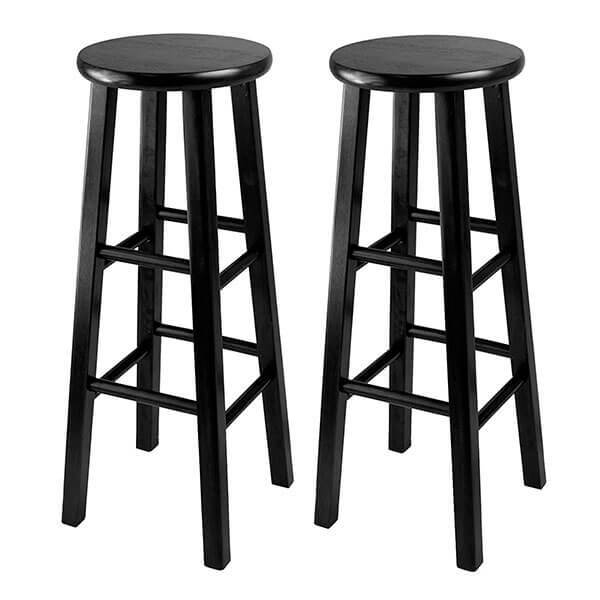 The set comes with 2 bar stools which is an essential piece to any household. 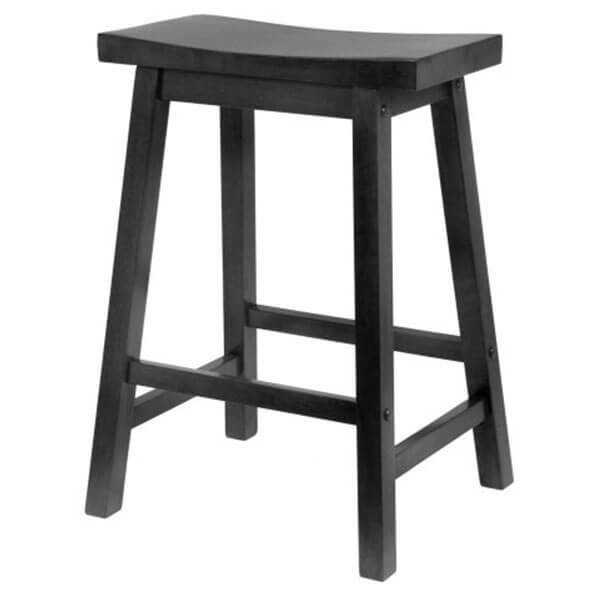 It’s a stylish black color at 29″ tall and comes fully assembled. 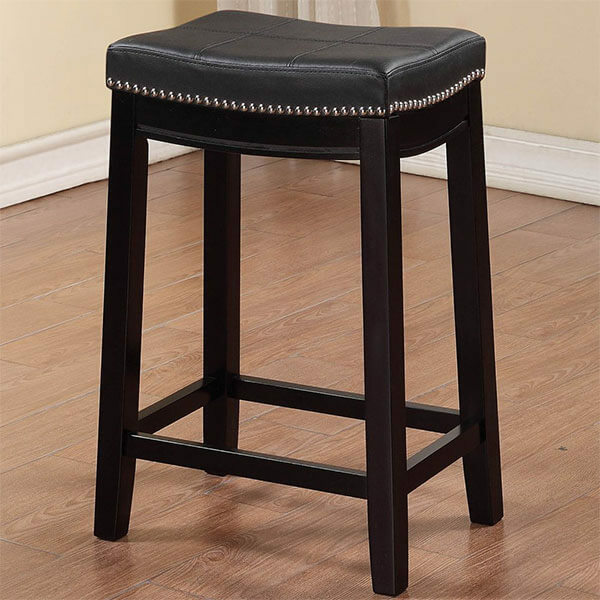 With their square leg design, tall nature and solid wood construction, the pair of Winsome 29-Inch Square Leg Bar Stools are classic bar stools that will fill out your bar area nicely. 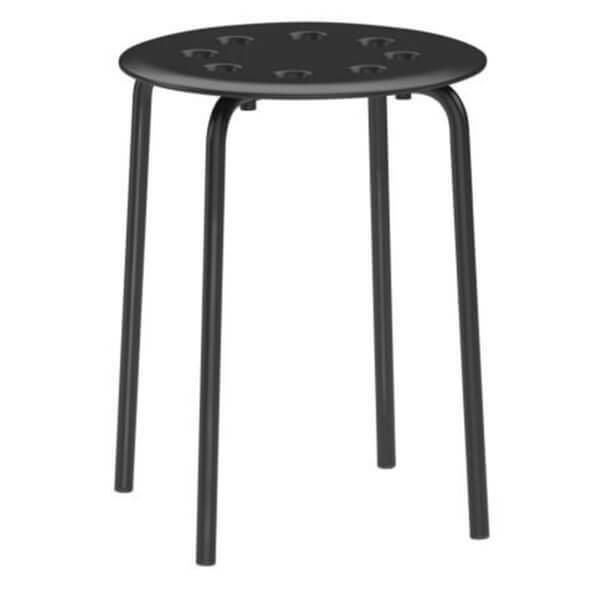 The stools stand at 29 inches tall and come shipped to you fully assembled and have a diameter of 13.6 inches. Simple and straightforward, the IKEA Marius Stool makes an excellent addition to any seating area. It can withstand a weight of up to 220 pounds on its seat diameter of 12-5/8 inches. The seat is padded with polypropylene for your comfort, a durable material sure to last the years. With its black color and silver nail head accents, the Linon Claridge Counter Stool is a traditional stool that can complete any sitting area. It has a 24-inch seat height and a patchwork-esque top that is sure to add character and charm to any space.